We know, all too well, the feeling when you want to spend a day out in the field but the estate you frequent doesn’t have any room to accommodate you. It’s frustrating and quite frankly boring to hear this time and time again. 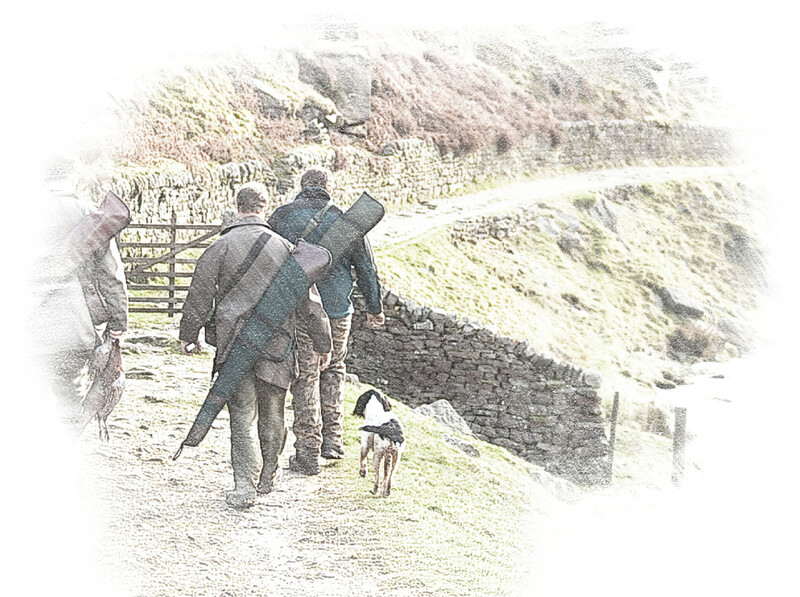 Our memberships are for the habitual hunter and the fanatic for fieldsports, we aim to accommodate you when YOU want and on your terms. If you’re the sort who wants to be in the field 20 weekends out of the year, then this is the membership for you. As we work with multiple estates, we can adapt to your preferences. Don’t wait for an estate to accommodate you, join us as member and tell us when you want to be out in the field. Preferential treatment for last minute bookings. Free storage for your gear and equipment. 6 free vermin shoots/lamping per year. 12 nights free accommodation per year (this must be spread out throughout the year, please communicate with us with your requests. A surcharge will apply for cleaning and weekend bookings). Highly discounted rates for accommodation outside of your 12 free nights stay. We only allow a maximum of 20 members per year, this way we can ensure each member receives the attention and focus they deserve. Memberships are £100 per month and 12 months is the minimum term we accept. Membership fees are payable on a monthly basis through Direct Debit. A security deposit of £1,000 will be required when you sign up, this will be refunded to you when you terminate your membership, providing you have adhered to all of our rules. Annual memberships are available for vermin/pest shooting. These are subject to availability. Vermin shooting membership have a set line of rules which must be followed at all times or you may have to forfeit your membership and annual fees. If you are shooting or stalking at a frequency of once per month or more, membership would be your best choice. You will need to attend an induction meeting at the start of your membership as well as quarterly meetings, mainly to touch base with other members and gamekeepers for any feedback or new information regarding the estates or designated areas. You must request your shoot date in advance with a minimum of 24 hours’ notice prior to your shoot and you must await confirmation from the estate before it is officially confirmed. You must not show up unannounced. As you will be unguided on your shoots as members, we take the issue of safety extremely seriously. If you are bringing any additional people with you, you must inform us upon requesting a shoot. You will be given a number of designated areas in which you can shoot, you must not stray from these areas for your own safety and the safety of others. It is very likely that there will be other shoots or stalks happening throughout the estates and we must ensure the safest conditions for everybody. On arrival to the area you will take photos and send them to the number provided so we are aware of your exact location and there are no clashes with shoots. The estates must be treated with respect at all times, keep it safe and keep it clean. All cartridges and any other rubbish must not be left lying around. Likewise please respect such things as fences and gates, these must be used with care and if you break it, you pay for it. Please feel free to contact us for further information, but please note finalisation of memberships must be arranged at the estate with the head game keeper. The above terms have to be strictly adhered to. This is for the safety of yourself and of others. We will not tolerate any breach to these terms, the consequence of not following the above terms will be the forfeit of your membership and all fees paid and you will not be welcomed back to any of our estates. Again, we take the issue of safety very seriously.